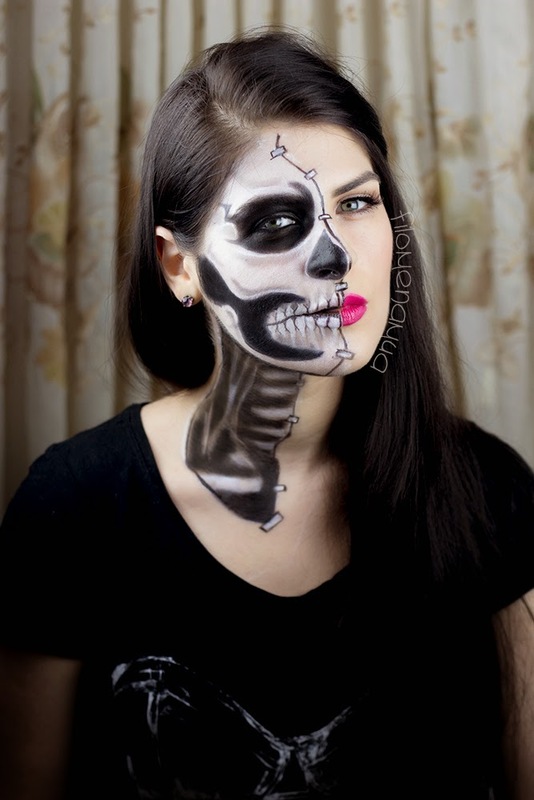 Double H: Halloween and Hair Care! Get Healthy and Long Hair. - Filosophie! 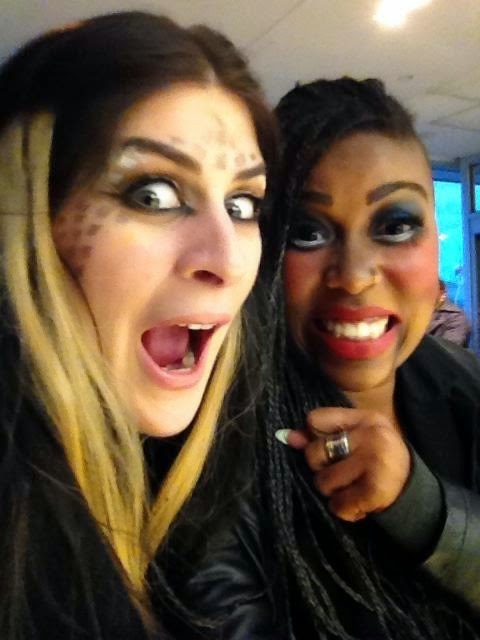 Double H: Halloween and Hair Care! Get Healthy and Long Hair. I realize these two subjects are going to be spoken about in completely unrelated circumstances but that's not going to stop me from combining these two posts. HAPPY HALLOWEEN! Well... yesterday. If you celebrated it. I didn't really do much, but I did dress up for work. On the 30th I was the warrior princess (?) character from Katy Perry's E.T video however the only photos I took were with my fav MUA gal Khaila (hay gurl haaaaay) and we were goofing off after work. I'll entertain you with my creepy face tho. I know, we're very cool people... not. She's a (creepy) doll btw. Anyway, I actually sat down and took some good photos of my 31st costume... which was no costume but just makeup because lbr, I dress up every other day in the year I wanted to go full out with the makeup! 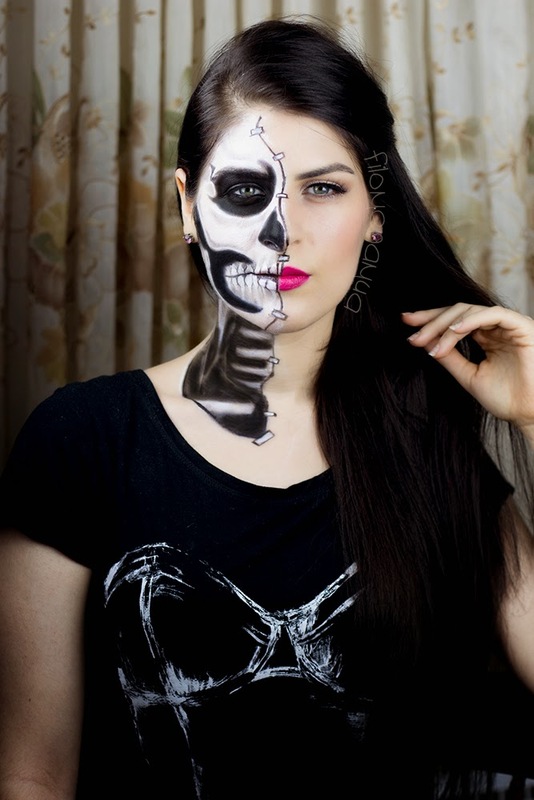 I was a skeleton last year and I really enjoyed painting a skull on myself and others so this year I switched it up a bit and did half face. I was a little dumb though because I forgot to add primer to my eyelid and used grease paint. If you've worked with grease paint you know that it needs to be set and it still can come off if touched. 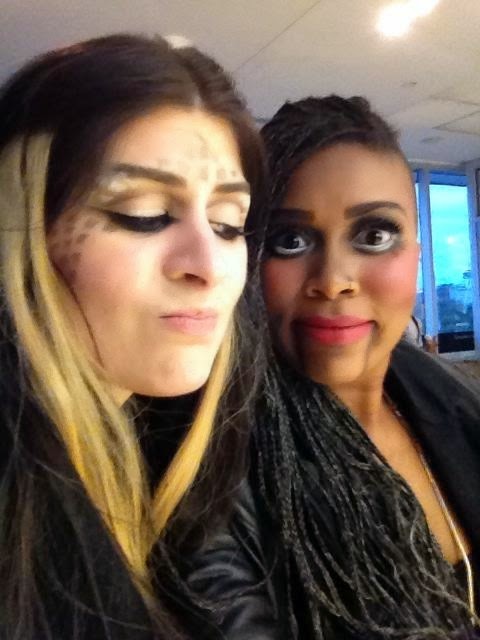 I had Make Up For Ever aqua creams on hand and didn't use them because I had a dumb moment. Aqua creams are one of my favourite MUFE products because those things are not budging once they've dried (and they dry quickly so you have to work fast!). Anyway, I'm quite proud of this look though I did get a bit lazy with the neck area as I was running out of time. The one thing people always ask me about is my hair. I'm very fuss free with my hair, meaning, I'm lazy. I rarely do anything besides comb it in the morning. So here's my big secret and some of you may not like it. I know, I know, I'm going to tell you to start eating better and you're just going to look the other way. BUT I urge you to just read on because you don't need to completely revamp your diet but just add some things in. Food isn't the only thing you can do (more on that later) but it's most definitely helped my hair grow and grow in healthy. Here are the main things that have helped with my hair. 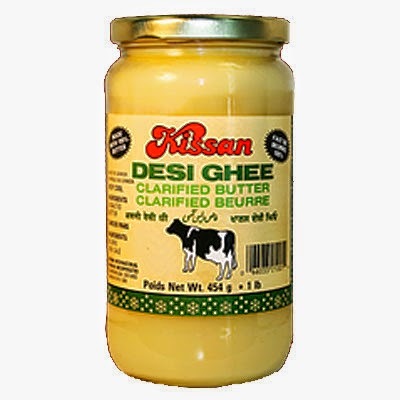 If you don't already cook with ghee YOU SHOULD and not only because it tastes like heaven in a jar (it is butter after all -clarified butter though). I know what you're thinking, how dare you try to influence me to eat fats! STOP TRYING TO MAKE ME FAT! Alas, I promise you those aren't my wishes. Ghee has HEALTHY fats that your body needs to function (and also if you're trying to tone up, HELLO this is GREAT for you). A 2012 study in the journal Stem Cells Translational Medicine suggests that the vitamin can help create new follicles — little pores where new hair can grow. Ghee also helps the absorption of minerals from the other foods you eat which can help your hair growth as well, which brings me to my next point. I don't bother taking a multi-vitamin because I believe I eat a lot of vitamin rich foods however after getting my blood tested I was recommended to take a mineral supplement. Livestrong says that Iron, Copper, Selenium, Zinc and Silica are great for hair growth. The article has a short description of each mineral and its use for hair growth and health. I try to eat foods rather than take supplements but sometimes you need a boost. That's really the only extra things I do besides eating healthy in general. Do keep in mind that for health reasons I have to eat a little better than most people I know but it has definitely helped me in more ways than one. Now onto the easier stuff! I don't buy expensive shampoo. I do change my shampoo every few months (currently I'm using Naturals Moisture Shampoo by Treseme) but I try and go for ones that are sulfate free... and as I'm typing this I'm realizing that Treseme Naturals is not but has less sulfate. Though this is debated, it is generally said that sulfates dry out your hair. 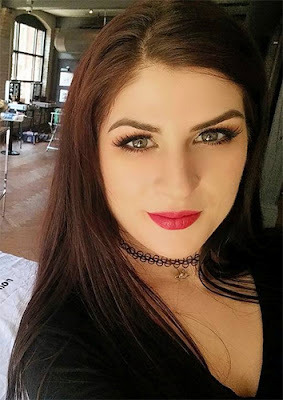 I spoke with a hair expert when I started dying my hair again because a) the colour faded after my first wash and b) I wanted to understand why my hair felt so nice after the dye job. I was told that it because I had virgin hair the colour could take and I'd have to dye again to see better results (this worked) and that proteins in your hair need to be replenished to get that soft and smooth look and well as help keep your hair STRONG. I was recommended a pricey product I can't remember but I opted out because I had so many hair products at home I thought I'd have something. 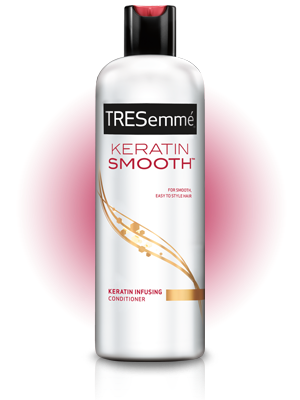 I didn't end up finding anything at home but I did find Treseme's Keratin Smooth condition on sale for $5 and decided to just try it out. I was told that once a week using a protein treatment and leaving it in for a few minutes would greatly help my hair condition. I started to do this and have seen a noticeable difference in my hair. Now besides these, I also use an oil moisturizer a few times a week to keep my hair nice and shiny. 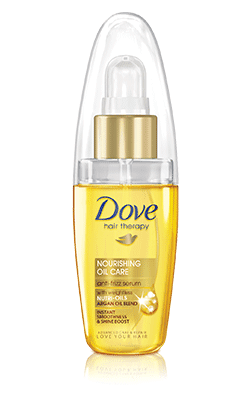 I switch it up but am currently using Dove's Nourishing Oil Care Anti Frizz Serum. I am also a big fan of Macadamia's Healing Oil Treatment. I find that I get a lot of these in beauty boxes and serums in general, I believe, are good for your hair. The KEY is to NOT USE VERY MUCH. I use about a dime size because I have so much hair but I generally recommend only using a pea size, start at your ends and work your way up. IF YOU USE TOO MUCH YOU'LL LOOK LIKE A GREASE BALL AND WILL ONLY HAVE YOURSELF TO BLAME! The only thing I have been doing consistently for years if using Matrix Biolage Daily Leave-in Conditioner. I feel like my hair gets dry easily and I like how this makes my hair feel. I spritz a few in the morning, comb with my fingers e' voila, I'm done my hair routine (I comb it with a brush before hand). I should note that because I'm lazy with styling my hair, there isn't much heat damage done. I curl my hair but not often and I air-dry my hair after shampooing. It takes a while but I shower at night instead of in the morning so I don't have to walk out with a wet mop of hair. If I do curl my hair, I do use a heat protector. I'm also looking into spf spray's for hair because the sun damages your hair as well as your skin! And that, my friends, is my hair routine. I highly encourage you to further research anything that appealed to you and happy hair growth!